The middle third of Arya Dhammapala’s “A Treatise on the Paramis” is, fittingly, taken up with a discussion of how the paramis are actually practiced (this would be section (x), running from pp. 35-56). Of that chunk, more than half is devoted to the first two paramis, generosity (dana) and virtue (sila). This is not so surprising since they are the foundation for everything else; remember in the suttas the Buddha’s teaching is often explained in brief as dana, sila and bhavana (mental cultivation or meditation). I think generosity is a pretty easy concept to get–give ’til it hurts, as Mother Teresa said–but virtue, aka morality or ethics, is an entire subject itself, abounding with subtleties and potential complications. So for this post I’d like to discuss Dhammapala’s take on virtue. by making amends (penitence and apologies) for transgressions. All of these are cultivated, undertaken, encouraged and maintained by a sense of shame over moral transgression (hiri) and moral dread (otappa), which is fear of the results of transgression, and I’d say that it is really these two innate sensibilities that determine, to a greater or lesser degree, how you will behave from an ethical standpoint. On this a lot could be said, but I will note that there are people who possess neither shame nor moral dread, and they are known as sociopaths. Most of us, fortunately, are not sociopaths. If we break rules or promises (especially those we value), the violation of which lowers us in our own eyes, we feel shame (guilt, too, probably, but there is a difference). We also probably take a quick look around to see if anyone is watching, and, oddly, our relief is not complete even if we’re pretty sure we didn’t get caught. In other words, we fear the consequences that come from breaking trust with others and ourselves–even if the police aren’t going to come get us, the world we know somehow manages to gnaw at our gut. The important thing is that these tendencies, which in the morally healthy person are strong and quick to come online when needed, can be cultivated, and the four steps above are the process of that cultivation. So what Dhammapala is telling us is that first we must incline toward taking on moral standards, then we must decide to do so, then we have to try to keep the promises we’ve made, and if we don’t….well, we must make it up to someone, as often as not, ourselves. Precepts are different from commandments. I hope everyone can see this. In Exodus the sky god Yahweh tells his people “You must do this, that and the other thing…or else.” Moses doesn’t stand there and ask why he and the rest have to do all these things–it’s unnerving to have conversations with burning bushes, after all–and Yahweh certainly doesn’t volunteer any justifications: “It’s good for social cohesion,” “You’ll have fewer altercations,” “Your love life will be better,” etc. It’s just a matter of here’s the list, now be obedient. 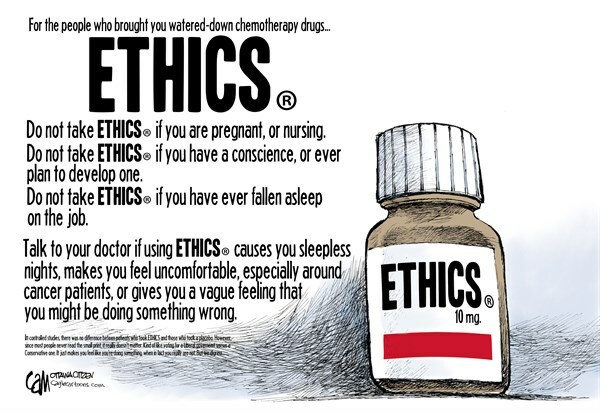 What then is the purpose of ethical behavior? The Buddha discusses this specific question innumerable times throughout the suttas. In brief, one adopts sila (ethical precepts) specifically for the purpose of eliminating mental, verbal and physical actions that give rise to negative mental states, relationships and consequences that hinder mental culture (bhavana). Also, we try to behave generously, graciously, and compassionately because such modes of deportment foster good mental states both within ourselves and others. In other words, depending on what we think, say and do we have the power to increase or decrease suffering in ourselves and others. Since the Buddha’s teaching is concerned entirely with the elimination of suffering (i.e. 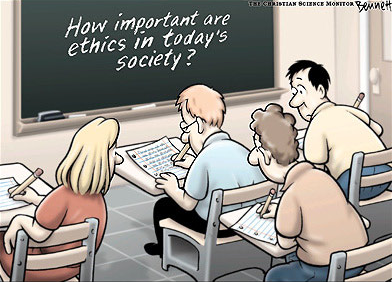 existential angst), ethical behavior is the bedrock upon which everything else must be built. Without it, the attainment of higher states leading to [nirvana] is out of the question. Once one understands this, then hiri and otappa come naturally and abundantly and Dhammapala’s four-fold schema follows as a matter of course.